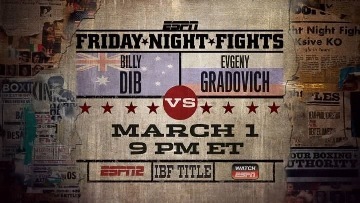 ESPN Friday Night Fights delivers its second straight world title fight when Billy “The Kid” Dib (35-1, 21 KOs) defends his IBF featherweight strap against late replacement Evgeny Gradovich (15-0, 8 KOs) at the Foxwoods Casino in Mashantuckett, Connecticut. The co-feature pits Willie Nelson (19-1-1, 11 KOs) against Michael Medina (26-3-2, 19 KOs) in a battle for a minor junior middleweight trinket. Luis Franco (11-1, 7 KOs) was Dib’s original opponent, but an alleged dispute with his manager and promoter forced him to walk away from his first world title fight. Lou DiBella and rapper-turned-promoter, 50 Cent scrambled to find a replacement. Number 11 ranked Evgeny Gradovich was eventually approved by the IBF. The former Russian National Champion turned to the professional ranks in 2010. He is trained by 2012 Trainer of the Year, Robert Garcia. Gradovich is a volume puncher who swarms his opponents. He mixes in body punches, but isn’t spectacular when he does. From the little footage available on YouTube, he doesn’t appear to move his head very often once he gets inside on his opponents, but when at a distance he moves and uses angles. Dib has fought only in Australia since suffering his only career loss to Steven Luevano in 2008. Dib made his seventh appearance outside of his native country, and sixth in the United States. 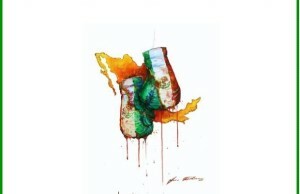 He looked flat and unable to get going against a spirited effort from then-defending WBO featherweight titlist, Luevano. Dib got himself back on track in Australia, winning eleven straight against club-level opposition. Since his title-winning effort in July of 2009, Dib’s reign has been less than stellar. His defenses have come against Alberto Servidei and Eduardo Escobedo. Originally signed to TMT Promotions last August, a rift between Floyd Mayweather Jr. and Curtis “50 Cent” Jackson brought about the dissolution of TMT and gave way to SMS Promotions. Under SMS and 50 Cent, Dib is looking to make a splash in the U.S. and take his career to the next level. It’s possible that Gradovich will provide a stiffer test for Dib than Franco. Luis Franco was a more polished boxer, comfortable scoring from the outside and using his height and wealth of experience gained over a long amateur career. Both Franco and Grodovich had extensive amateur careers, but Gradovich looks farther along in his pro career. 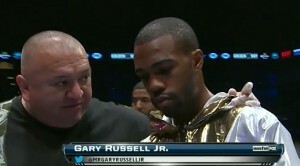 Gradovich will dig in and get in his opponents’ space, making their time in the ring uncomfortable. In his only career loss to Steven Luevano, Dib was unable to deal with the pressure put on him by Luevano. 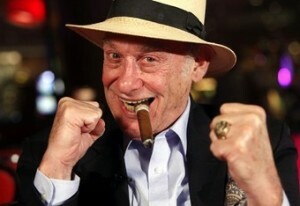 Gradovich will have to crowd Dib and wear him down on the inside. Dib will have to use the ring and turn Gradovich’s aggression against him. In a battle of contrasting styles, there is always the potential for the competing fighters to lay an egg in the ring. 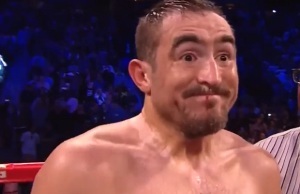 If Gradovich can make the fight closer and more dirty than Dib is comfortable with, it will be a more aesthetically pleasing fight and one that Gradovich will have the best chance at winning. I expect Dib’s greater experience as a pro to win the day, and the fight will bore more than excite as Dib takes a unanimous decision win. The co-feature may offer up a bit of a surprise. Those expecting to see the long-haired country singer will be surprised to see a 6-foot 4-inch junior middleweight towering over Michael Medina, who is a tall 154-pounder in his own right. Nelson has a tendency to negate his height when he fights, and that could pose problems against a guy who has been in the ring with some tough competition. Medina has lost against all of the upper-level competition he’s faced, with Saul Roman, John Duddy, and Vanes Martirosyan handing him those losses. Nelson has been dropped several times throughout his young career, so look for him to use his all of his 81-inch reach to keep away from a somewhat heavy handed Medina. Friday Night Fights airs at 9 PM ET/6 PM PT on ESPN 2. The Boxing Tribune will have a full recap following the completion of the broadcast. You can email Tim at timharrison65@gmail.com, or follow him on Twitter at www.twitter.com/TheTimHarrison.